A simpler way of living sometimes requires a lot of work. 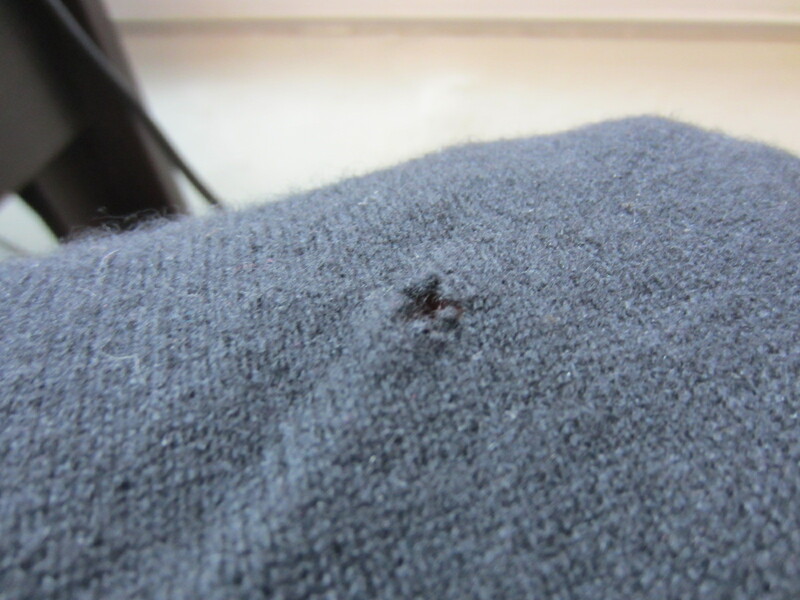 Whether a moth chewed a hole in your favorite sweater or you punctured it yourself, mending knits is an easy fix. Sweater with a hole in it. Scissors, thread, needle, garment to mend. 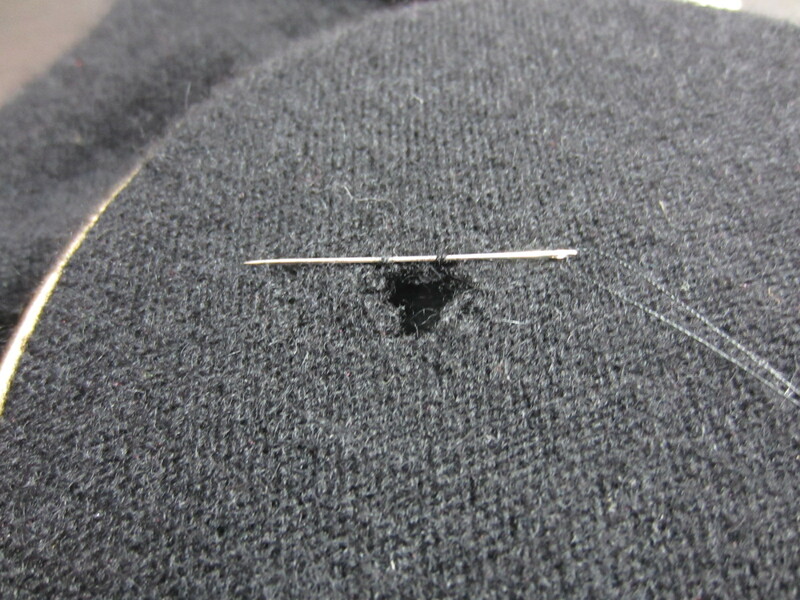 Turn your knit piece inside out so the part that won’t show is facing you. 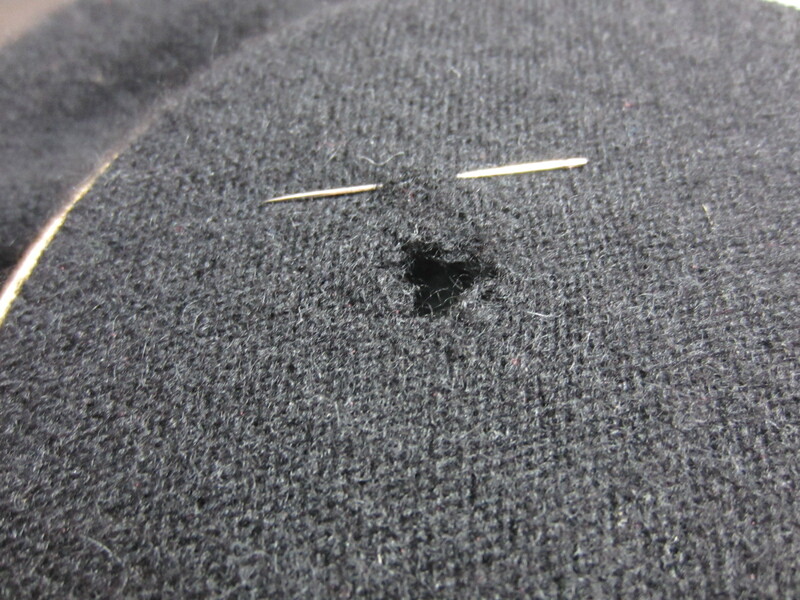 Stretch and secure the knit so that you can easily see and sew the hole. Thread you needle, I typically sew with double thread but that isn’t necessary. If the whole is perfectly rounded it doesn’t matter where you start but if it is more oval start at one of the smallest points. If you look closely at your knitted piece you’ll see the fibers ordered in interlocking rings. Some of those rings have been ripped creating your hole. What you are going to do is to reconnect the rings. 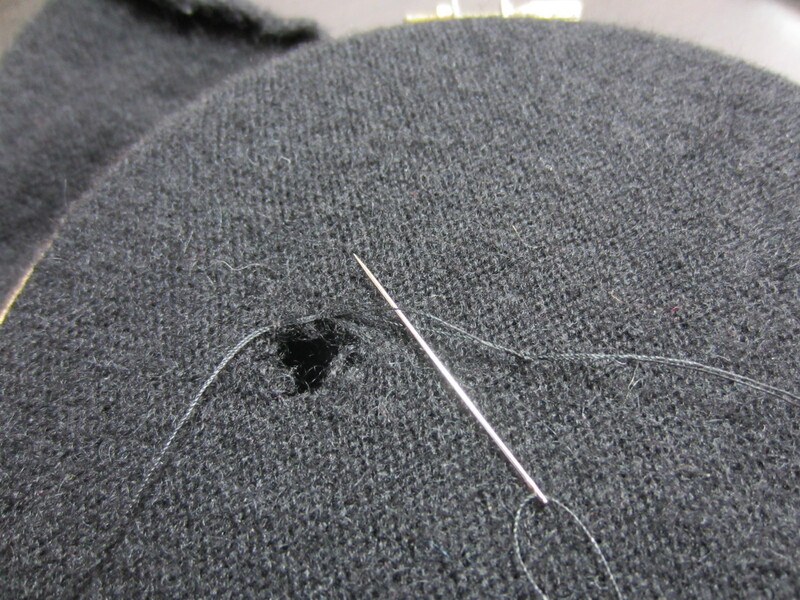 Insert your first stitch just above the opening. You don’t want to go all the way through the fabric but rather just through the top of one loop and then through another. 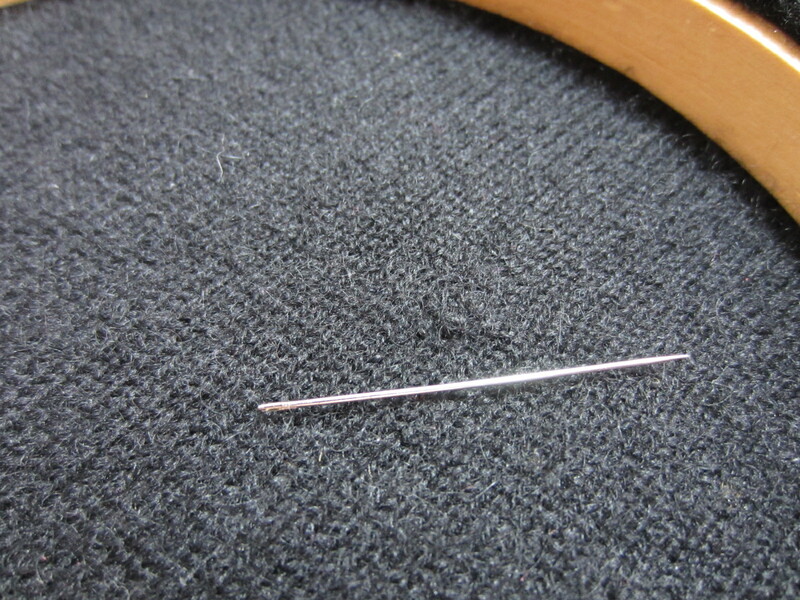 Then to lock your thread you want to bring your needle back through the sewing thread. 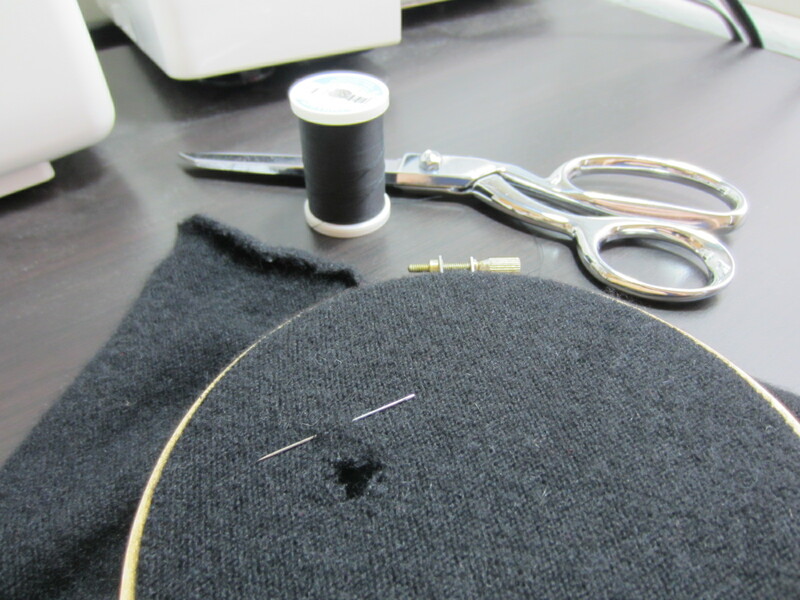 Continue looping through a knit loop on one side of the hole and then through the other side moving down the length of the opening. 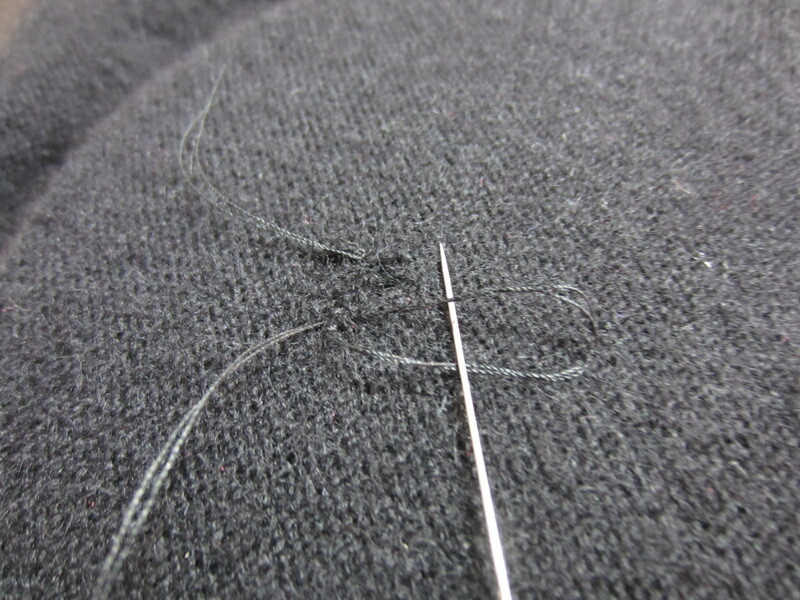 Your final stitch should be just beyond the end of the opening. Lock your final stitch the way you did your first. Snip the thread close to the knots you have created and it should look like this. And when you flip it over to the right side of the knit it should look like this. 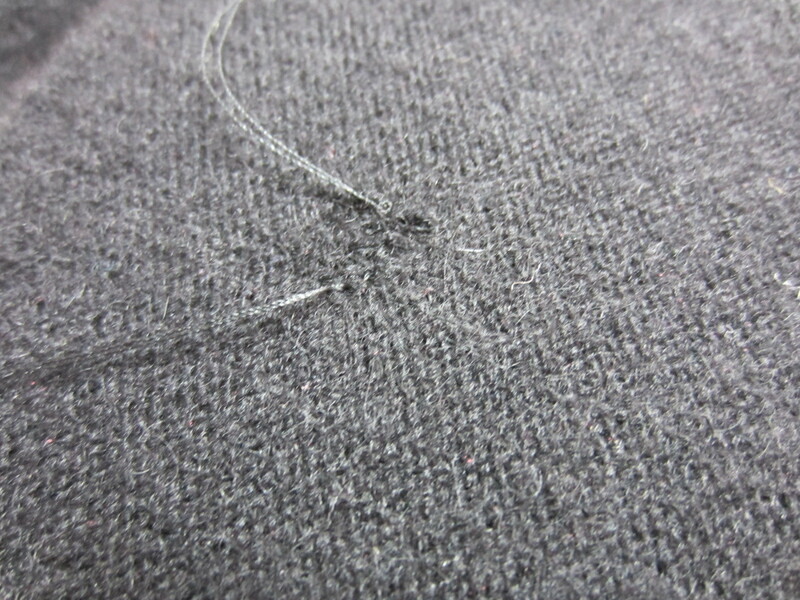 Right side of sweater, mended. If it doesn’t look right, just rip the thread out and try again. Thrifting tip: Thrift, vintage and charity stores are a great place to find high quality knits at affordable prices. 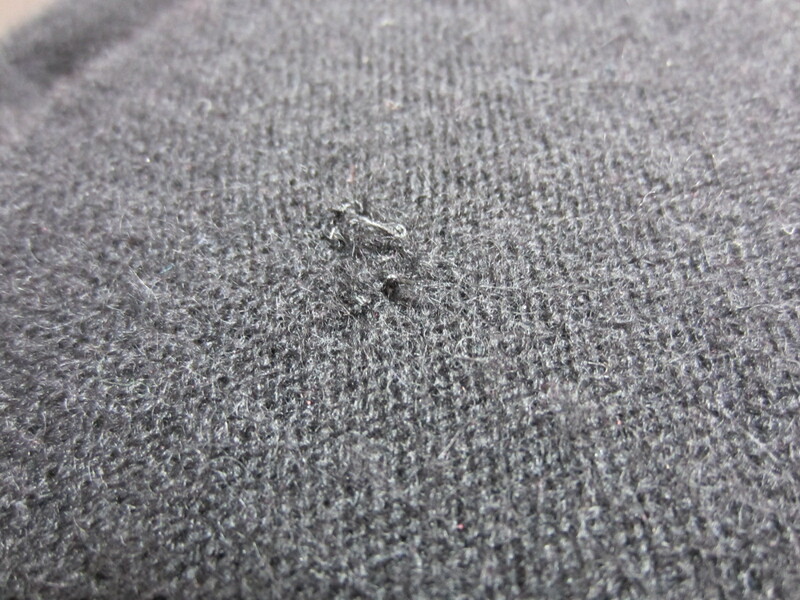 Unfortunately many second-hand knits fall victim to moths and general wear and tear. But now you know how to fix that!